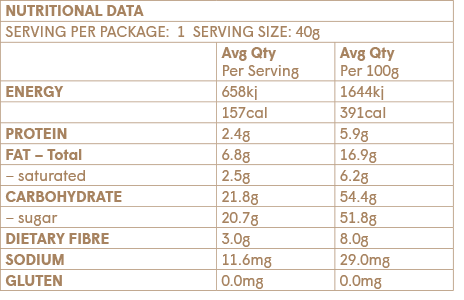 Say hello to your new snack BFF. 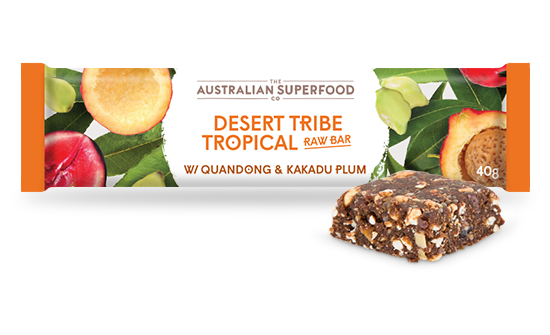 Featuring Kakadu Plum and Quandong, this Raw Bar tastes like summer, all year round! If you need a summer holiday, but you’ve only got a few dollars, join our Desert Tribe Tropical. Our most popular Raw Bar screams summer and will satisfy your need for surf, sun and sand, even in the middle of winter! Made using superfood superstars Kakadu Plum (boasting the highest Vitamin C count of ANY fruit EVER!) 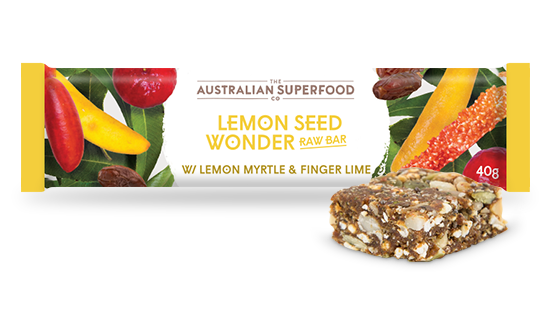 and antioxidant-rich Quandong, together with mango, pineapple, coconut and nuts, this is our pick for an instant energy boost. Keep a couple in your desk drawer or gym bag and sail away on summertime memories whenever the mood takes you! 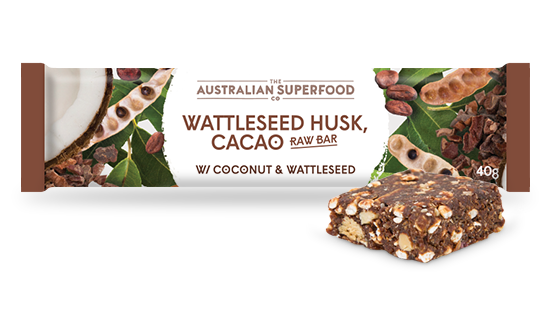 Dates, coconut, almonds, cashews, dried mango, macadamia nuts, dried pineapple, dried apple, native superfood blend (Wattleseed, Finger Lime, Quandong (0.6%), Kakadu Plum (0.4%), Davidson Plum (0.1%)), sultanas, puffed millet, chia seeds, corn fibre, natural flavour.